During my university years in Ottawa, I was lucky to get to know Marco Mion and his ambitious “du” crew. I’ll let you read on to learn the full meaning of that – but, essentially, what started as a descriptive word used between hometown friends quickly transitioned into a company name, brand and uniting team mindset for young athletes, artists, models and adventurers all around the world. 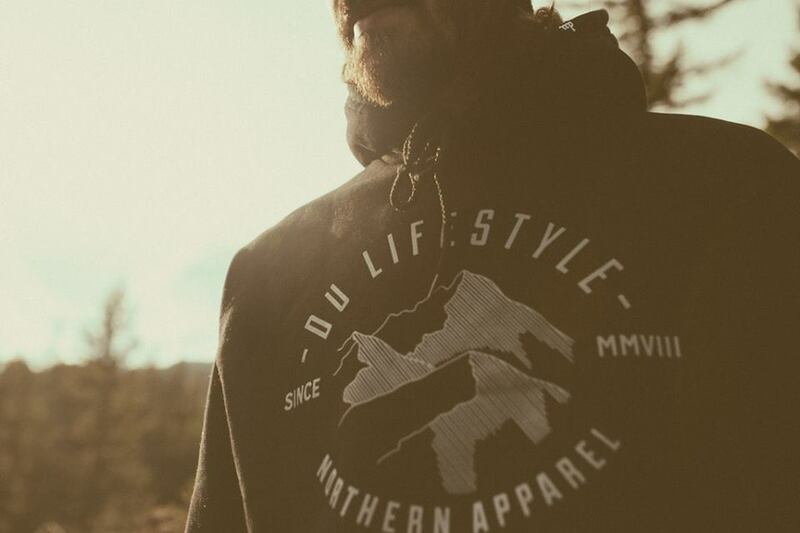 Founded a handful of years ago in Manotick, Ottawa, we’ve watched DU Lifestyle blossom into the practical, trendy, eclectic apparel line it is today. Marco, the company’s 27 year-old founder and jack-of-all-trades, chatted with in a nutshell about the meaning of “du,” the evolution of his company and the ups and downs of being a young entrepeneur. As an added bonus, this jet-setting social butterfly gave us a few hot tips on music, food, travel and more. Jess Huddleston (JH): Let’s start with some questions about the business itself. Tell me a little about where DU Lifestyle started. Marco Mion (MM): The brand actually started with us building rails for skiers and snowboarders, then it evolved into a lifestyle brand. 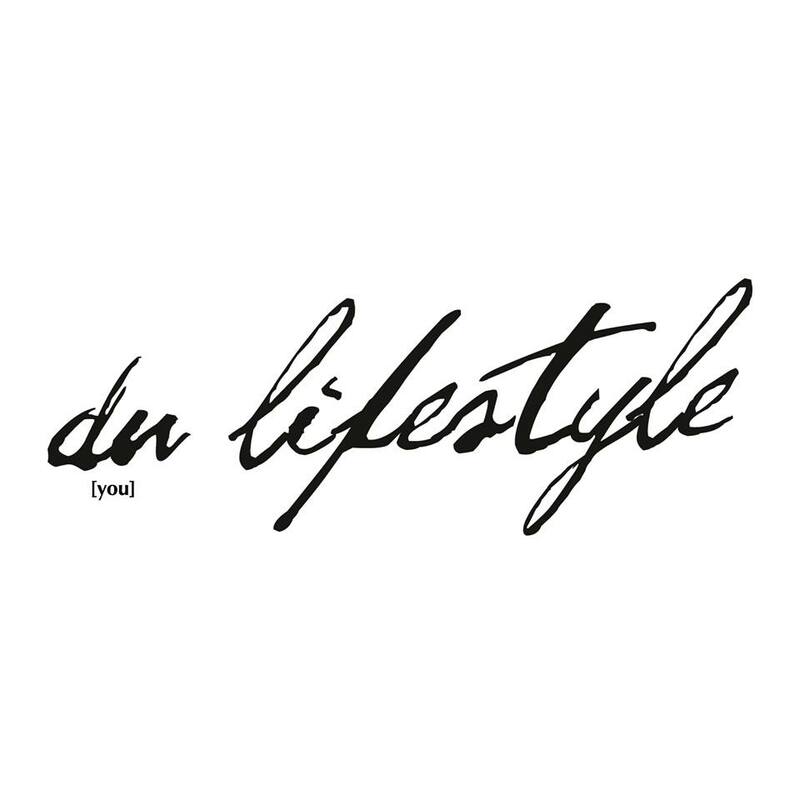 DU reflects a community (DU Crew) of people that share a passion towards music, art, sports or travel, which is shared through the apparel we design. It definitely wasn’t an easy ride, many ups and downs, a lot of learning and a bunch of growing into the brand it is today. JH: I remember the early days of “DU” – when it was kind of a funny saying for your group of friends, before becoming a brand and almost a way of life. In a few words, what does DU even mean? MM: I guess in a way you can say that “DU” is an adjective. The brand name has grown and changed as the brand itself has. “DU” started off as a saying that described a “gnarly” or “cool” situation. As we focused more on rails, we decided to make an acronym out of our saying to “Decent Urban Rails.” After realizing that clothing is what we enjoyed designing most, we decided to keep it as “DU”. Today, “DU” means living the lifestyle YOU want (DU means “you” in Swedish). I figured that one out last year while I was travelling in Europe and thought it went perfectly with the brand. FYI – DU still describes gnarly and cool situations, too. JH: When was your “light bulb” moment – when you decided to start your own company? MM: While I was in college, I was giving a presentation about a project I had done. The project’s primary focus was about rails and the essence of creating rails in the comfort of your own backyard for skiers and snowboarders. My classmates were more interested in the t-shirt that I had designed to market the rails than the actual rails. You could say that was the “light bulb” moment. JH: Is DU just Ottawa? Or do you see it as bigger than that? MM: DU started off just being a brand within Ottawa. Today, we ship apparel to places all over the world – Canada, USA, Europe and Australia to name a few. I’d say DU is global. JH: Whether an athlete, artist, model, etc. – how do you pitch someone on becoming a part of the DU crew? MM: The DU crew started small but is always growing. We meet people though different types of sporting and entertainment events or through social media. Usually they’ve already heard a bit about the evolving brand and want to be a part of it! JH: What are some pros and cons of being a young entrepreneur? MM: Nowadays, the technology available to help you run a successful business is endless. I find myself working around the clock. Different applications on my phone and computer keep me updated and organized with DU. It actually makes it a bit hard to shut it off at night, though. So, technology is both a pro and a con. Balance is key. JH: What would be the ultimate DU goal accomplished? MM: It’s pretty simple to me. Just making the clothes and seeing our customers happy in them, is as good as it gets. Seeing your hard work pay off in the form of happy customers is a pretty amazing feeling. JH: One crucial piece of advice you wish you were given when starting a company? MM: When you’re trying to grow a business, you’ll get a lot of people directing you on certain paths. Sometimes you just have to follow your own path. JH: Awesome. Now, enough about DU (kidding!) – hook us up with some hot tips. Must-see destination/place to travel these days? MM: A must-see in my books is Oslo, Stockholm and Helsinki. I fell in love with those cities last summer. The people there are super friendly, the cities are beautiful and the 10 pm sunsets were definitely surreal. JH: Must-attend event this summer? MM: This is a tough one… summer is always full of so many new festivals and events. At the end of the summer, DU will be at the Canadian Wakesurf Nationals in Calabogie Peaks! MM: I’ve been really into Negronis lately – bitter and sweet! MM: If in Ottawa, I’d have to go with El Camino, because of my love for tacos. JH: Must-try sport or pastime? MM: Rock climbing – after a session you’ll feel muscles you didn’t know you had! JH: Must-wear DU clothing item/trend this season? 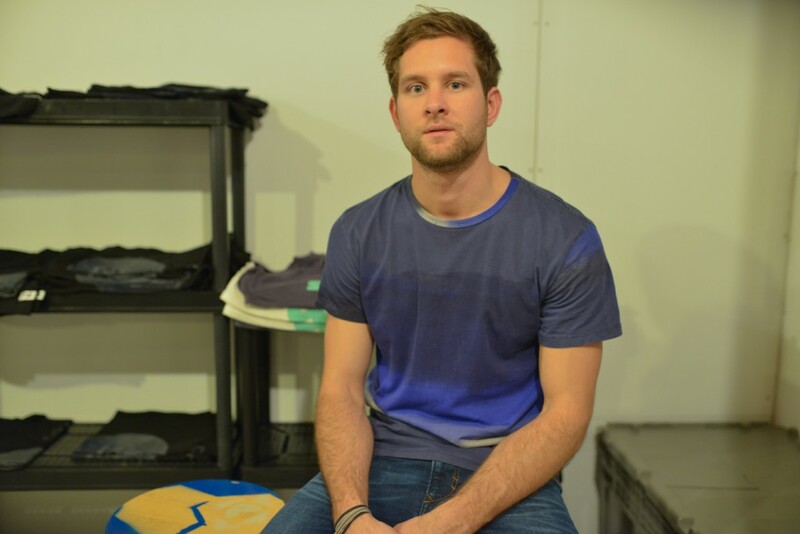 MM: The new DU fit t-shirt that’s designed and made in Canada. JH: What are we giving away? MM: The DU Canada tank top! Awesome – thanks, Marco! We’re big fans of DU Apparel, so, we thought it’s only right that we give away something DU to our readers. 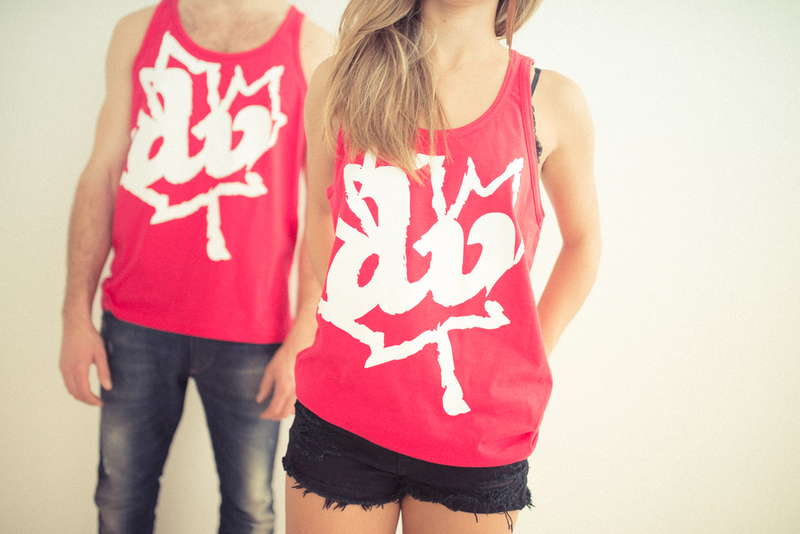 Please visit http://www.duapparel.com and leave a comment below, for your chance to win an awesome DU Canada tank top! We’ll randomly select a winner on Friday, May 1. Du it! **Update: This contest is now closed. Thanks to all who entered! I’ll have to try a negroni now!!! Also-amazing tank top!!! Love the style and meaning of the brand! Perfect for summer and local: win-win! ← Spruce up your Space for Spring!